West Yellowstone, Montana, receives more than 150 inches of powdery snow each year, making it a veritable paradise for cross-country skiers. Take the opportunity to explore seemingly endless landscapes and the quiet of a mountain winter under Montana’s Big Sky—cross-country skiing near West Yellowstone is an unforgettable experience suitable for skiers of all levels. 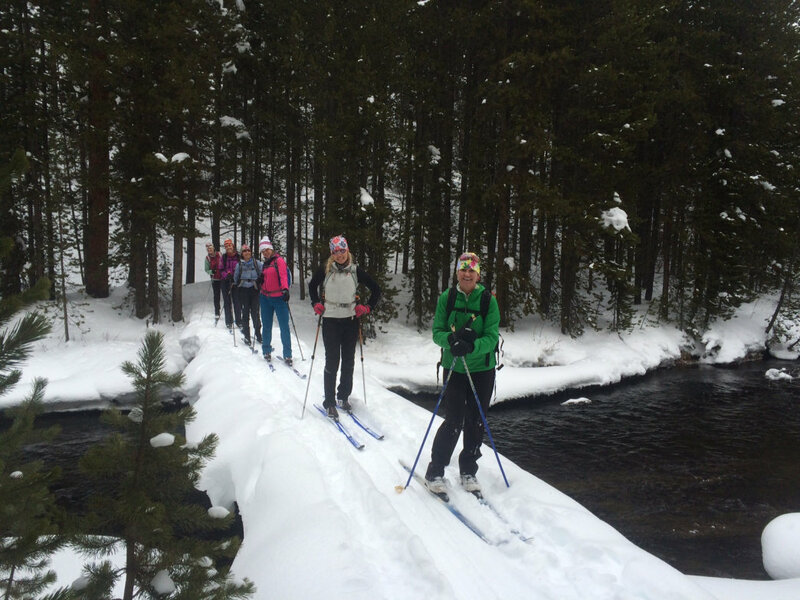 Once termed a “Nordic Skier’s Dream,” the Rendezvous Ski Trails are easily accessible from West Yellowstone. More than 35 kilometers of gently rolling, well-groomed trails (for both classic and skate skiing) wind through robust lodgepole pine forests and sprawling open meadows. Skiers of all abilities will find something to their liking on the Rendezvous Trails, and don’t be surprised if your study of the stunning scenery is interrupted by some of the local wildlife. Beginners will find flat, two-kilometer loop that’s perfect for those just starting out. 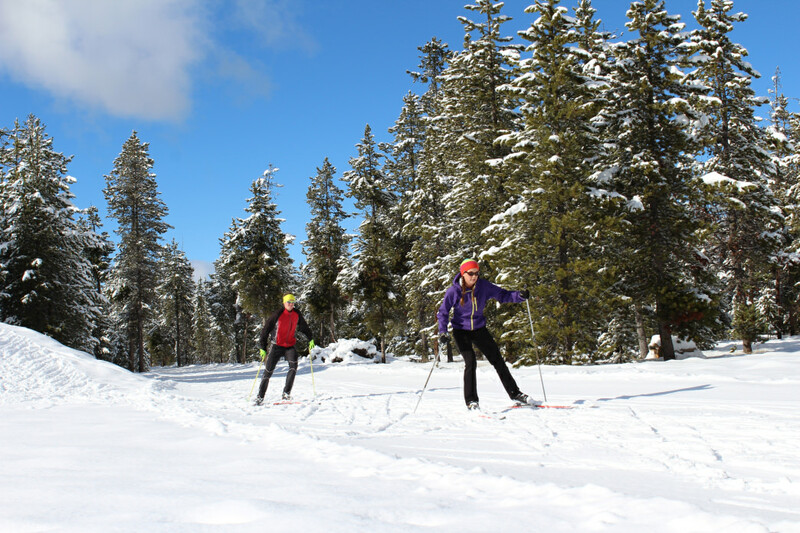 The Rendezvous Ski Trails are also home to a biathlon course, and host a variety of events throughout the winter season. From the Yellowstone Ski Festival, held each November, to the early-spring Yellowstone Rendezvous Race, there are opportunities to test your mettle against other skiers. Local cross-country ski races and biathlon races are held monthly, offering travelers an opportunity to participate or simply kick back and watch. This dog-friendly trail winds 7.9 kilometers from the northern edge of West Yellowstone to the Baker’s Hole Campground. groomed periodically, it’s a popular afternoon jaunt for locals and their four-legged friends—be sure to keep an eye out for local wildlife. The trail parallels Yellowstone National Park’s western border, and elk, bison and deer frequently are found in the area. 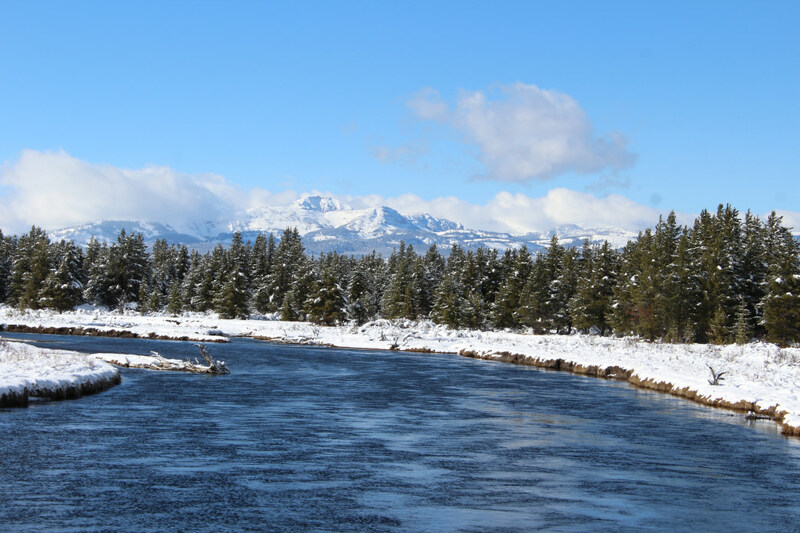 Popular with both cross-country skiers and snowshoers, the Riverside Trail is easily accessible off West Yellowstone’s Boundary Street and follows the Madison River into Yellowstone National Park. A favorite of wildlife watchers, the trail features two loops—an “upriver” loop and a “downriver” loop—which, combined, offer nearly 10 kilometers of scenic skiing. Be sure to look up from the trail and watch the river; bald eagles can often be seen winding high above the river, trumpeter swans drift in the current, and frost-laden bison frequent the trail. This is a favorite spot for a scenic picnic after a relaxed ski session. Many local guide services offer cross-country excursions into Yellowstone National Park, and exploring the wintertime silence of the park on skis is a once-in-a-lifetime way to observe wildlife, see the area’s impressive geothermal features, and to simply observe the stunning silence of wintertime in the mountains. See Yellowstone/Alpen Guides, Yellowstone Expeditions, and Yellowstone Tour Guides all offer trips into the park. Freeheel and Wheel, West Yellowstone’s go-to ski shop, is a wealth of knowledge for trail conditions, wildlife sighting reports and more. There are a variety of trails within the boundaries of Yellowstone National Park that belong on cross-country enthusiast’s to-do lists: Mammoth Area Ski Trails, Canyon Area Ski Trails, and the Old Faithful Area Ski Trails. For a truly magical winter experience, take the snowcoach into the Old Faithful Snow Lodge and Cabins. Open mid-December through early March, the lodge offers a comfortable respite after a long day exploring the park via snowcoach or cross-country skis, and boasts a team of savvy, knowledgeable guides ready to tailor your Yellowstone experience to the unique challenges—and sizable opportunities—of winter in Yellowstone country.